The Religious Society of Friends, often called Quakers, was founded more than 350 years ago when George Fox and his followers discovered that the experience of Christianity was available to all people through an inward experience, and did not require the mediation of priests, dogma or churches. The terms ‘Quakers’ and ‘Friends’ are used interchangeably. Quakers often say that we believe in “that of God in everyone”. We use the term ‘inward light’ which is the individual’s spiritual awareness, a profound sense of right, which, if listened to, acts as a guide through life. George Fox urged his followers to attend to their spiritual wellbeing and to “be patterns and examples” so that they might “walk cheerfully over the world answering that of God in every one”. Friends follow the teachings of Jesus and try to live by his example, and we are open to the lessons to be learned from life’s experience and to the insights of other faiths. Friends espouse the existence of a universal spiritual life and the overwhelming power of love. Equality is at the heart of the Quaker approach to life. Some Quakers identify as Christian; others do not. Some Quakers say they believe in God; others do not express their experience in that way. We believe that what is important is how we live our lives, not what we say we believe. Quakers do not hold to statements of belief, or creeds. We do have faith in the value of human relationships, and in living adventurously. Quaker testimonies to peace, equality, simplicity, truth and an emerging testimony to sustainability / the environment / caring for the earth, all spring from our experience of the inward light, which is strengthened through our corporate meeting for worship. Meeting for worship has been the central spiritual practice of Friends for over three centuries. It is based on silence and is not led by a priest or minister. Out of a ‘quiet waiting on God’ anyone is free to minister, that is to stand and speak, pray, or read a passage from the Bible or other source of inspiration. All ministry (if there is any) contributes to a ‘gathered meeting’ in which a deep sense of oneness and harmony can be felt as a profoundly spiritual experience. There is really no way adequately to describe what meeting for worship is like; it is better experienced than described. Meetings for worship are held at appointed times, but it is not our belief that this is required, nor that meetings for worship must be held in any particular place. 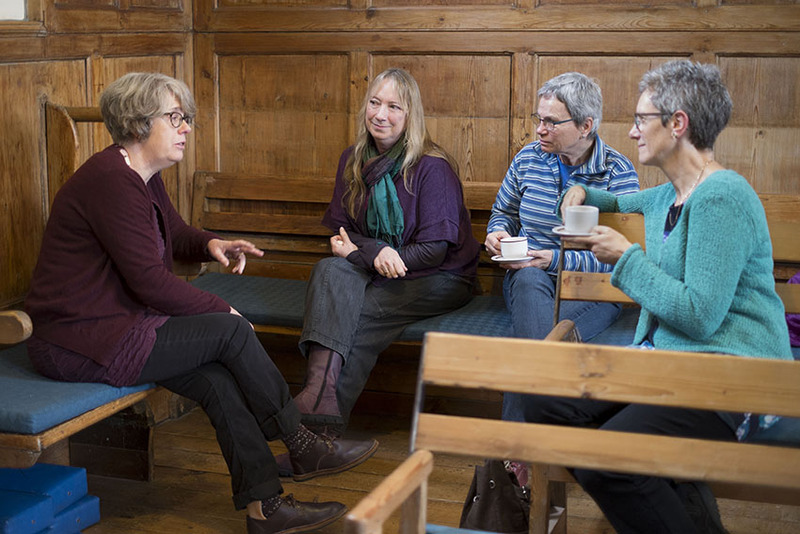 By long tradition we meet at Friends Meeting House in Lewes on Sunday mornings, but in fact meetings for worship can take place anywhere. Everyone is welcome to attend meeting for worship; it is not necessary to be a Quaker or to have any particular preparation before attending. All are welcome.